(DailyMail) Netflix didn’t pay a cent in state or federal income taxes last year, despite posting its largest-ever U.S. profit in 2018 of $845million, according to a new report. In addition, the streaming giant reported a $22 million federal tax rebate, according to the Institute on Taxation and Economic Policy (ITEP). 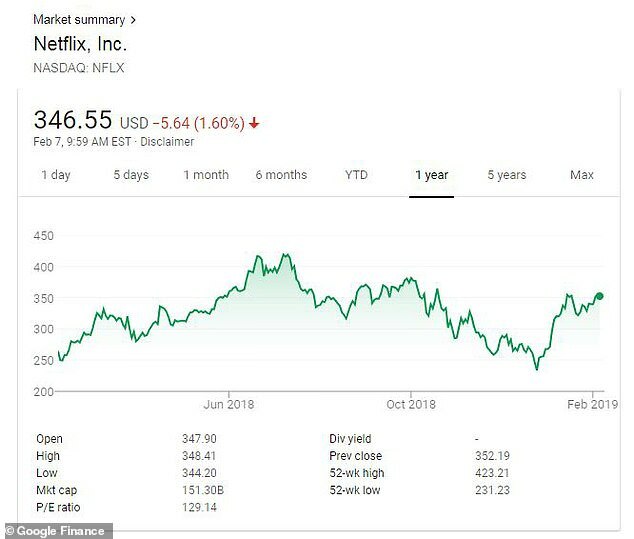 Netflix says they paid $131 million in taxes in 2018 and this is declared in financial documents. But Gardner says this figure relates to taxes paid abroad, according to a separate part of their statements. Gardner added: ‘Fortunately, however, there is another, more complete geographic disclosure of income tax payments. Gardner said the public is now ‘getting its first hard look at how corporate tax law changes under the Tax Cuts and Jobs Act affected the tax-paying habits of corporations’. He said: ‘With a record number of subscribers, the company’s profit last year equaled its haul in the previous four years put together. When hugely profitable corporations avoid tax, that means smaller businesses and working families must make up the difference. 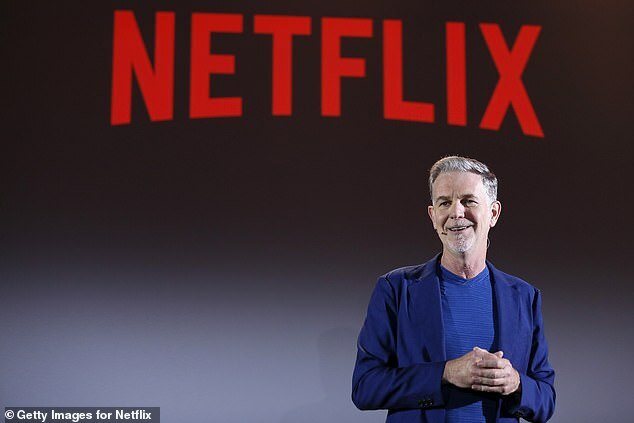 Netflix CEO Reed Hastings. The company didn’t pay a dime in state or federal income taxes last year despite posting its largest-ever U.S. profit in 2018 of $845 million, a new report says. Netflix, which has just announced a price hike, now has 139 million subscribers. President Donald Trump promised ‘the biggest tax cut, the biggest reform of all time’ and said ‘the numbers will speak’ for themselves when he signed the bill in December 2017. The GOP argued their tax overhaul plan would mean middle class Americans will get a big tax cut and see their wages go up because of a slash on the rate paid by corporations. But Gardner argued ‘many corporations are still able to exploit loopholes and avoid paying the statutory tax rate—only now, that rate is substantially lower’. He added: ‘Netflix appears to be every bit as unaffected by corporate tax laws now as it was before President Trump’s ‘reform’. 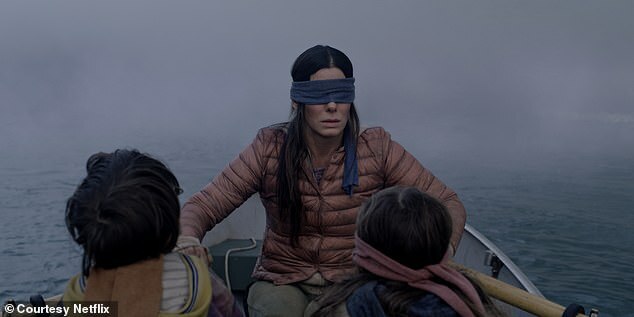 Hit movies like Bird Box saw the company reach 139 million subscribers worldwide. Users can pay up to $15.99 for Netflix’s premium package to access their hit shows, movies and documentaries. There are now 139 million subscribers worldwide to the service which announced a price hike earlier this month. The online streaming service announced it would bump costs by 13 to 18 percent depending on the plan. The website’s most standard and most popular package will cost $12.99 moving forward, compared to today’s price of $10.99. Customers who typically pay $7.99 with the basic plan will have to pay $8.99 with the new pricing. And those with the premium plan at $13.99 will now pay $15.99 each month for the service. Netflix says they paid $131 million in taxes in 2018. Gardner says this figure relates to taxes paid outside the US. This entry was posted in Economy and tagged Income Taxes, Netflix on February 7, 2019 by Bone Fish. Not only IRS taxes, but local property taxes are exempted by oil and chemical companies, with the blessing of the taxing authorities, on their real property !!! That’s it, I’m an oil / chemical company now.